LaLD Car Week - Land of the Rising Sunday: How 'Bout Another GT-R? This will probably be the only day where I will post multiple entries. That’s because Japanese cars are my favorite. They’re the backbone of my collection. Some of you may have thought I was going to show those TLV GT-R’s for car week. Honestly, those are better, but I had something else in mind. 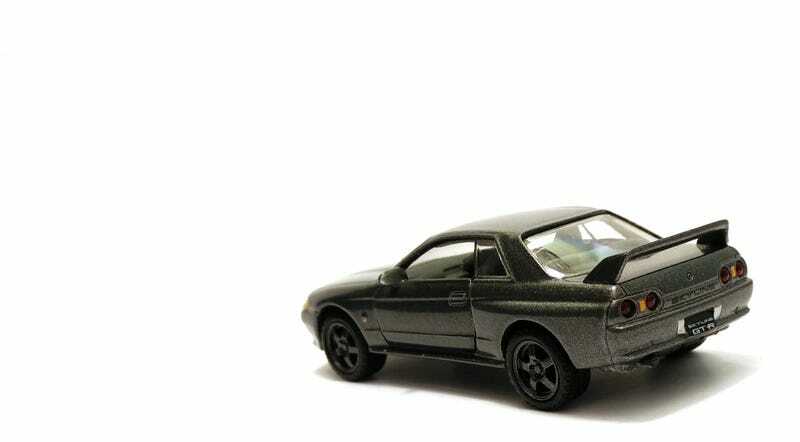 This is the Tamiya (1/64) Nissan Skyline GT-R R32. Between this and the Kyosho R32, I think I prefer this one. The wheels look much better and the casting looks more crisp. The one thing I don’t like is the ride height. I get that the R32 is far from a low-slung car, but it shouldn’t be this tall either.